What's the Internet Explorer Gallery All About? What’s the Internet Explorer Gallery All About? If Internet Explorer is your primary browser, either by choice or because it is forced upon you in your place of work, at some point you’re going to need to come into contact with the Internet Explorer Gallery. Is the Gallery Here to Stay? In truth, the Internet Explorer Gallery has the feel of a project that is about to be abandoned. With Microsoft’s totally revamped Spartan browser Trade Your Android for an iPhone, Try Microsoft's Spartan Browser, & More... [Tech News Digest] Trade Your Android for an iPhone, Try Microsoft's Spartan Browser, & More... [Tech News Digest] Apple trades iPhones, Microsoft previews Spartan, Jay Z launches Tidal, jumping the Apple Store line, De La Soul kick-starts new album, and herding sheep with a drone. Read More expected to be released later this year, it is possible that its days of seeing active development in the Gallery are numbered. 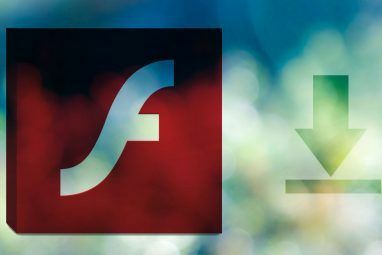 Nonetheless, IT departments can be very slow to update and upgrade browser software, so there’s a good chance people will still be interacting with it for a reasonable amount of time. Despite an unappealing start, if you dig deep enough there is some useful content. The site is broadly split into three sections – “Pinned Sites”, “Add-ons”, and “Tracking Protection Lists”. Each of these sections contains a list of pre-approved offerings, which can then be added directly to your browser or Start Screen. In principle, the idea of pinned sites is a good one. In practice, it fails to spark and is the weakest of the three areas. 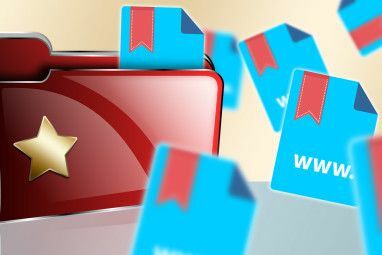 The theory behind the idea was to allow website owners to submit their sites to be reviewed and rated by the community. They would then be put into the library – a place from which users could pin the sites directly to their Windows 8 Start Screen. Microsoft’s own advertising for the service claims that you could “Increase traffic to your website up to 200 percent with Site Pinning!“, but given the state of the service it seems unlikely – there are just 28 sites to choose from and only feature the usual heavyweights such as Facebook, Amazon, Bing, and Pandora. If it was planned as a content discovery platform it failed badly, while if it was designed as a way to pin content to the start screen Manage Start Screen Tiles & Modern Apps Like A Pro Manage Start Screen Tiles & Modern Apps Like A Pro Some things take time to grow on you. The Windows 8 Start Screen is one of them. I bet you'll appreciate it more after learning about these tips and tricks. Read More it was superseded – you can now pin any site by opening Internet Explorer in Windows 8 mode, right clicking, clicking on the star icon, and then clicking on the pin icon. Luckily, things do get a bit better in the other two sections. 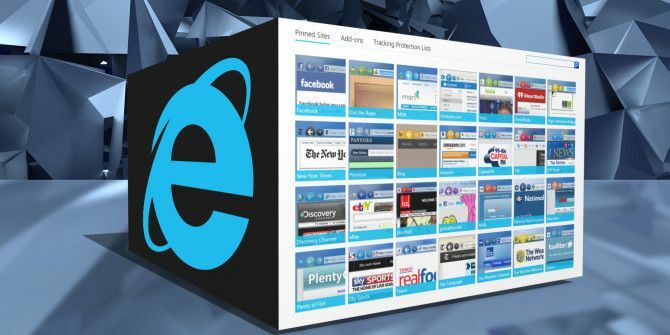 Add-Ons are Internet Explorer’s equivalent of plug-ins (though they will reportedly be scrapped in favour of plug-ins with the release of Spartan). They are split into four distinct areas; search providers, accelerators, web slices and toolbars. Search provider add-ons let you see real-time and relevant search suggestions from your provider of choice, accelerators add context menu shortcuts How to Add & Remove Entries from the Windows Right-Click Menu How to Add & Remove Entries from the Windows Right-Click Menu Everyone loves shortcuts. Meanwhile, your context menu is cluttered with entries you never touch. We'll show you how to customize the right-click menu with shortcuts you'll actually want to use. Read More that’ll allow you to undertake tasks such as finding an address, performing a translation, or sending an email, web slicers let you get real-time updates from your favourite websites delivered directly to your favourites bar, and finally toolbars can add information such as stock tickers, search bars, and image viewers to your browser. While it’s true that these offerings are infinitely more useful than a pinned site, the selection is once again lacking (there are only 19 to choose from). Like the Pinned Sites section, it appears that it started life as a user-driven library, but was quickly abandoned. Now it acts as a landing page when you click on “Find more toolbars and extensions” within the Manage Add-ons window of the browser itself – however the most useful toolbars are found directly on developers’ sites rather than via this Microsoft library. It all adds to the general feeling that the Gallery’s days are numbered. The third and final section – Tracking Protection Lists – is undoubtedly the most useful part of the entire Gallery. Tracking protection let you prevent your private information from being shared with third parties when you visit a site. The section itself offers seven lists to choose from, but only one – EasyPrivacy – has a rating higher than three stars. You can add each of the lists directly to your browser and they will work in the background to prevent data being shared. When tracking protection is filtering content on a website a blue “Do Not Track” icon will appear in the address bar, but you can click on the icon to temporarily disable the service. As with toolbars etc, you can manage your selected services by opening Internet Explorer, then Gear Icon > Manage Add-Ons > Tracking Protection. Deciding what the future holds for the Internet Explorer Gallery is hard to tell. 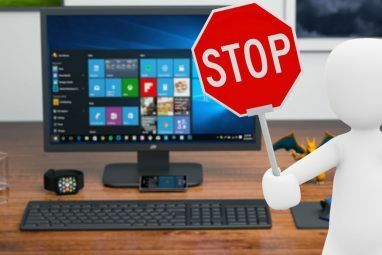 Perhaps it’ll be rehashed and incorporated as part of Spartan or a Windows 10 upgrade How to Upgrade to Windows 10 via Windows Update How to Upgrade to Windows 10 via Windows Update Windows 10 is offered as a free upgrade to Windows 7 and Windows 8.1. When you're ready to upgrade, you can use Windows Update and keep all your installed programs and settings intact. Read More , perhaps it’ll be allowed to die a slow and peaceful death along with Internet Explorer itself, or perhaps it’ll be taken offline tomorrow. There is no way of knowing. Have you been forced to use the Gallery? If so we’d love to hear from you. Was it more useful in the past? Was there more content available when Windows 8 launched? Have you uploaded your own content to the service? What about the future of Internet Explorer Is Internet Explorer Making A Big Return In 2015? Is Internet Explorer Making A Big Return In 2015? Microsoft no longer has to offer EU Windows users a choice of browsers. Moreover, Microsoft is working on a new browser. Nevertheless, we'll show you how to install your favorite browser without touching IE. Read More and the Gallery? Do you see a place for this in Microsoft’s future plans? Have you found a way to make use of the Gallery that we didn’t mention? "... for review to be included in the Galley“. Whoops - should be "Gallery." Thanks Doc - that's fixed now. TPLs can also serve as bare-bones ad-blocking tools. That's the primary function of the Easylist TPL, which is on the top of the gallery list for a very good reason. The lack of a worthwhile add-on framework in Microsoft browsers is a major reason that it can't be taken seriously even if the present state of Chrome is such that IE might actually be preferable. I assume that Project Spartan will eventually get add-on support, though it's entirely unavailable at the moment. I can't even install an A9 search plugin. It wouldn't shock me if a new site with similar presentation were put in place for Windows 10. I guess it depends on how much Microsoft wants to disassociate from the poisonous reputation that IE has had for almost its entire existence.